It's been a volatile year for those investing in gold and silver. Gold is down some 20% year to date, and silver has lost more than 30%. The yellow metal tumbled more than 30% in the three quarters to June as fears mounted of an early end to the U.S. Federal Reserve's bond-buying program. With silver looking even more alluring than gold lately, it's smart to consider investing in silver miners - and a new ETF gives investors one more option. The PureFunds ISE Junior Silver ETF (NYSE: SILJ), launched in November, differs from other silver mining ETFs in that it focuses only on junior silver miners. 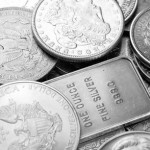 The PureFunds Junior Silver ETF joins just two other silver mining ETFs, the Global X Silver Miners ETF (NYSE: SIL) and the iShares MSCI Global Silver Miners ETF (NYSE: SLVP). While silver mining ETFs, like silver mining stocks and gold mining stocks, have not tracked the rise in price of the precious metals themselves - many are down anywhere from 10%-20% year to date - the tide is ready to turn. Many signs point to increasing silver demand in the months ahead, and in recent weeks more money has started to shift out of gold and into silver. Investing in silver mining ETFs is one way to get out in front of this trend before the rest of the crowd. "For 2013, I think silver, like gold, will set a new all-time nominal price record, likely reaching as high as $54 an ounce," Money Morning Global Resources Specialist Peter Krauth said in his 2013 silver price forecast. For the past two years, investing in silver miners has been much less profitable than owning the white metal itself. But that's changing - and fast. That means these three mining stocks are "on sale." Gold remains the favorite of precious metals investors, but silver is now a strong number two...with a bullet. That means you should consider investing in silver now before it goes even higher. In case you haven't noticed, after wallowing around in the mid-20s for months, silver prices have shot back over $30 an ounce. And thanks to wildly bullish technical and fundamental indicators, silver could soon retest its 2011 high, or even blow through it. If that happens, silver's run-up will hand investors a fortune, so here's how you can cash in. Historically, the price of silver per ounce has usually been equal to around 1/16th of an ounce of gold,meaning it took 16 ounces of silver to equal the value of a single ounce of gold. But over the past decade, gold has taken off, trading as high as 60-70 times the price of silver. That is, until last year. As silver prices rose to nearly $50 an ounce, the ratio fell to 30-1. But as prices for the white metal settled near $27, the ratio has skyrocketed back up. Right now, you get 55 times more silver for your money than gold. But it would still have to triple in price to even sniff where it should be in relation to gold. And there are signs that this is just what's going to happen. From a technical viewpoint, the rally in silver may be just beginning. You see, the silver futures markets are in what's known as "backwardization." Silver prices this week dipped after U.S. Federal Reserve Chairman Ben Bernanke failed to confirm that more economic stimulus is on the way. Silver prices hovered below $29 an ounce Friday. Meanwhile, millions of dollars that would have been invested in physical silver it turns out were instead held in a $90 million Ponzi scheme orchestrated in South Carolina. The Commodity Futures Trading Commission (CTFC) reported Thursday it charged Ronnie Gene Wilson and Atlantic Bullion & Coin, Inc., both of Easley, S.C., with offering contracts on silver sales, but never actually purchasing any metal. The CTFC maintains in a filing Thursday in U.S. District Court in South Carolina that Wilson and Atlantic Bullion & Coin violated the Commodity Exchange Act and CFTC regulations by operated a Ponzi scheme dating back over a decade and continuing through Feb. 29 of this year. Wilson and Atlantic Bullion & Coin fraudulently obtained at least $90.1 million from some 945 investors, the CTFC alleges. The CFTC received jurisdiction over the entities from Aug. 15, 2011, to Feb. 29. During that time, Wilson and Atlantic Bullion & Co are accused of deceptively obtaining at least $11.53 million from at least 237 investors in 16 states under contracts of sales to buy silver, without buying or delivering the white metal. According to the CTFC charges, Wilson and Atlantic Bullion issued fake account statements to unknowing investors who believed they had invested in silver. The CFTC is after compensation for scammed investors, a return of illegal gains, civil monetary penalties, trading and registration bars, and permanent injunctions against further violations of the federal commodities laws if successful in its suit. Cases like this are why choosing where to buy silver is a decision requiring research - which we've done for you in our special report, "How to Buy Silver." However you choose to buy physical silver, gold or other precious metals, the most important rule is to deal only with reputable dealers who have proven experience in the business and clearly stated policies and warranties - especially if you're purchasing by phone or online. Like gold, investing in silver is a great hedge against inflation and financial turmoil alike. It's why demand for silver is increasing at an astonishing rate. In fact, says Money Morning Global Investing Strategist Martin Hutchinson, "If silver were to match its 1980 peak, adjusted for inflation, it could climb as high as $150 an ounce." For savvy investors who hold physical silver in bars or coins, that move would deliver roughly a 328% gain from today's spot-prices. Of the two, buying silver coins is a bit more challenging because there are so many different ways to purchase them - including rare coins. But while rare collectible silver coins are often attractive and sometimes bring in big prices when sold, their value is quite subjective, as they are tied to a number of largely intangible factors like scarcity, wear and quality of appearance. Rather than becoming a rare coin collector, most investors would be better off purchasing bullion coins if their intent is to ride the silver bull market. Lately, it seems billionaire precious metals investor Eric Sprott is grabbing headlines almost daily. Sprott believes in silver and gold as money, and he has little faith in paper currencies. That explains his recent acquisition of a chain of currency exchange outlets, which he aims to gradually build into the safest kind of bank - one that makes no loans, and could eventually offer gold- and silver-backed checking accounts. Leave it to Sprott to flip a long established business model on its head. Ever the investing activist, Sprott's latest move involves a "call to action" for silver producers, challenging a business practice typical of most - saving in cash. Sprott has sent a letter to silver producers, suggesting that they reinvest some 25% of their earnings back into silver, rather than in cash at the bank. On the surface, it doesn't look like such a dramatic step. It will heighten exposure to a commodity that the investor initially bought those shares for. And it will protect the investor from the risk of devaluing currencies the company would have held instead. In fact, the move is brilliant. And as I keep digging, I realize that the implications go well beyond these two shareholder advantages. Turn on the television or flip through the pages of any major newspaper, and the top stories will be either the stock market's unrelenting rise in recent days or gold's climb to yet another record high. Without question, both are worthy of note - but the real star over the past eight months has been silver. Stocks, gold and silver all hit cyclical lows during the final week of August 2010. The Dow Jones Industrial Average bottomed on Aug. 26, closing at 9,985.81, while June Comex gold futures closed at $1,223.30 an ounce on Aug. 24, and July Comex silver contracts settled at $18.121 per ounce on Aug. 23.